How to find the exercise that’s perfect for you. There are many important and valid reasons why you should exercise, but there are also a couple reasons why you shouldn’t exercise. Most people don’t actually like to exercise. How many things in life that you don’t like, do you actually do consistently? (I mean aside from stuff like taxes.) Yet, consistency is one of the keys to a healthy lifestyle. So how do you create an exercise practice that you love to do? I believe it involves moving beyond exercising just to say you did. Instead, move your body because it’s leading you to a greater goal and it brings you happiness. I call this finding our authentic mode of exercise. It probably involves an activity you did (voluntarily) in childhood. So instead of exercising simply for the sake of exercising, explore your true physical nature and find the activity that brings you to life and brings joy to your life. 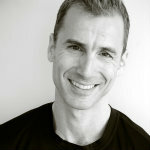 For the past seventeen years, Eric Stevens has established himself as a leading fitness professional, consultant, writer, presenter, and television personality. Currently, Eric is the Fitness and Membership Director for the Allegria Spa & Club at Park Hyatt in Avon, Colorado. In addition to his extensive fitness experience, having managed, coached, and trained in the private health club and non-profit industries, Eric has been a long-time instructor of Western boxing, most recently as boxing coach for the Denver Athletic Club. In 2011, Eric was selected to serve as a trainer in the nationally televised series I Used to Be Fat on MTV. Eric is also a published author and regular contributor to Breaking Muscle, Muscle & Performance, and Whole Life Challenge. Eric is originally from Portland, Oregon and is a graduate of the University of San Diego. Since 2003, Eric has been a nationally certified personal trainer with the National Strength and Conditioning Association (NSCA).